This project started with the client’s signature color bar and took off from there. Each property detail page is a property mini-site in itself. 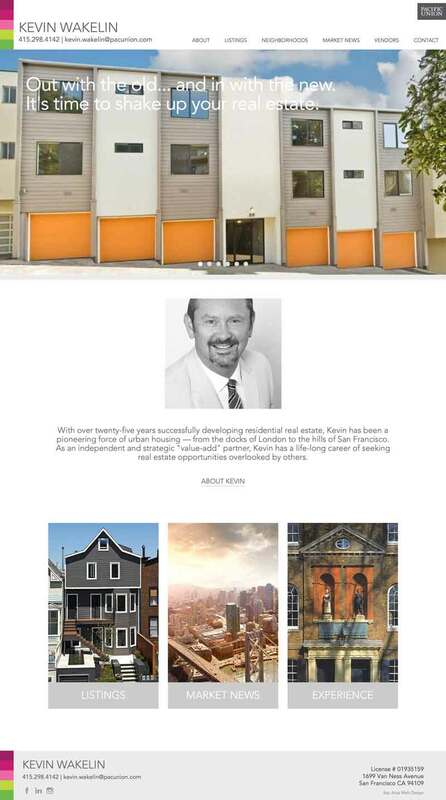 Kevin’s site also has some CSS that calls a different rollover color on the property listings. The boxes on the home page uses a variable width on the font to keep the site fully responsive.